Writing literary fiction can be like travelling in unfamiliar country without a map. Without a guide, how will you decide which way to go? And how do you get yourself back on the right path when you’ve taken a wrong turn? This workshop will hone your ability to recognise and solve problems in your manuscript, and will help you identify and customise practical tools and techniques you can use along the way. to fit out your own writer’s toolkit with custom made tools to manage structure, story and narrative drive in your manuscript. 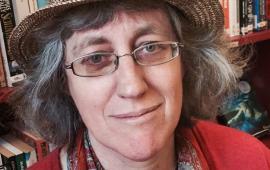 Lyndel Caffrey is a writer, mentor and creative writing teacher. She works with writers to help them build a deeper understanding of the story they have to tell, and how to tell it. Lyndel’s novella ‘Glad’ was published in Griffith Review 38, and her literary fiction manuscript ‘Gunclub’ was shortlisted for the inaugural Hachette Australian Richell Prize in 2015.